But creating a balanced life takes work, and especially, it takes awareness. Without realizing what’s abundant, what’s weak, or what’s completely missing, we’re just set towards a bumpy road. I’ve learned the hard way that focusing only on physical things (work, school, physical health) will drive a person to sickness. It has seemed that if something is going really great in life, sooner or later another aspect starts deteriorating. Personally, I start to focus so much on the happiness and fulfillment of the good areas that I don’t nourish the other realms; the areas that may not be holding up so well and the areas that need some attention. Regarding my own health, it started declining when I thought my career was moving forward at a great speed, and my body was stronger that it ever had been. 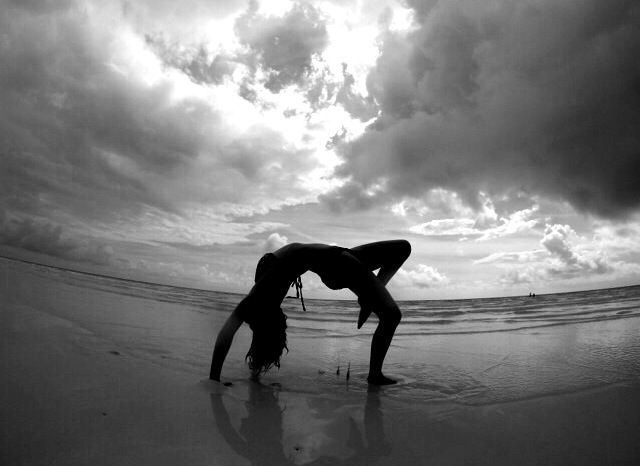 I had just moved to a new city and I was so excited to be finishing my degree, working in my field of study, and teaching yoga. Several months into this fulfillment phase, I started feeling like I was blowing out my mind/body/spirit connection. I started getting chronically fatigued, physically sick for weeks at a time, and finding my body becoming sensitive to certain foods. I thought I had everything figured out around me, but really I was just hiding from the areas that weren’t so bountiful, and not really considering my whole picture. Being around naturopathic doctors and holistic health counselors has taught me to look at the bigger picture. By studying your life in all aspects and taking small steps to improve what is running low, it’s easy to boost your overall health. The Life Wheel is something health counselors have used for years, and some versions even date back to ancient Buddhism. 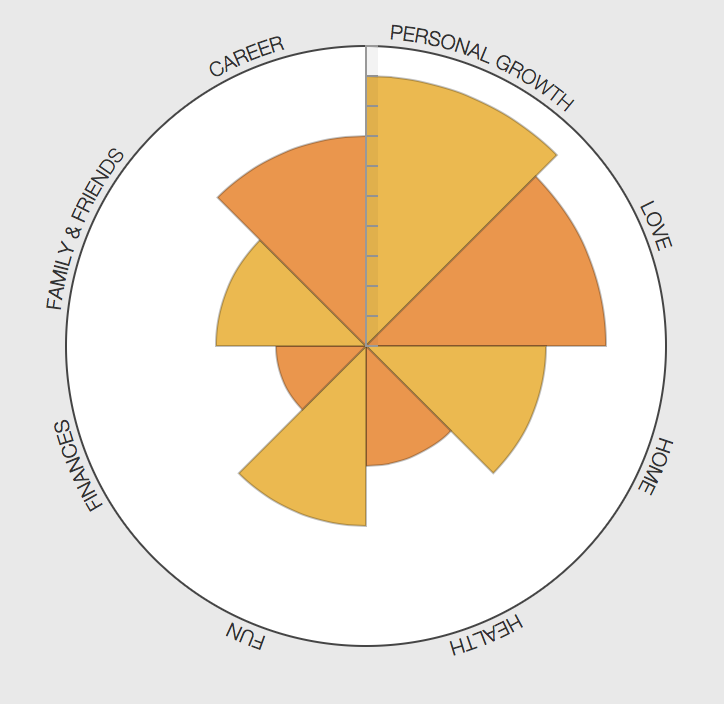 I like to use the site Cojourneo to analyze where I am in my holistic health circle and see what needs improving. This site also gives you tips to boosting what is low, and management sources for each category. I’ve posted my own circle above, and plan to update it here quarterly, as a way to look back to see where I have improved and hold myself accountable to my own personal changes. Although these aspects can change on a weekly or daily basis, I think it’s good to see where you have come from and where you are going with your own health and happiness. You might be surprised and inspired to start taking steps to a more balanced life. Once your through and have your wheel in front of you, view each area like spokes on a bicycle. If this wheel were on your bike would it be wobbly? Or is it pretty well balanced and just lacking adequate inflation? The goal is to create a round circle first, so your bike can ride smoothly and then begin filling the circle in so the whole wheel is colorful, centered, and makes your bike easy to ride. It’s not about finding balance, but creating balance in your life. What does your circle look like? What areas do you need help improving? 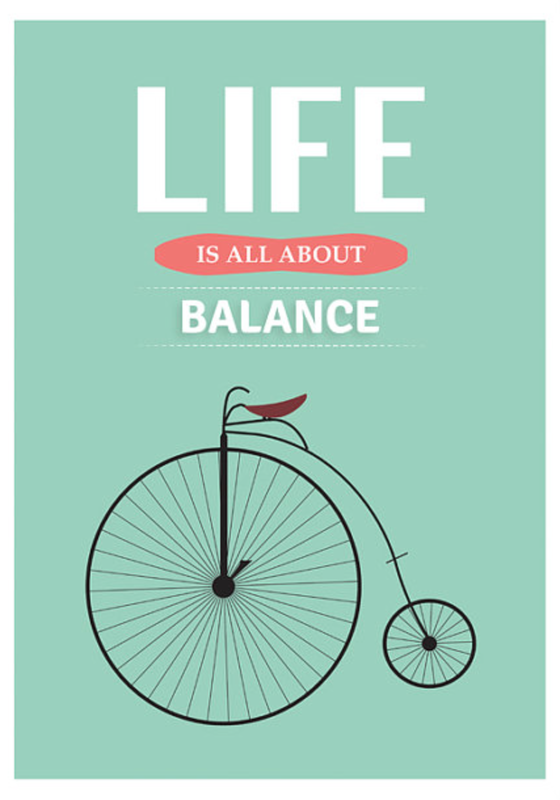 What ideas do you have to create more balance in your life?